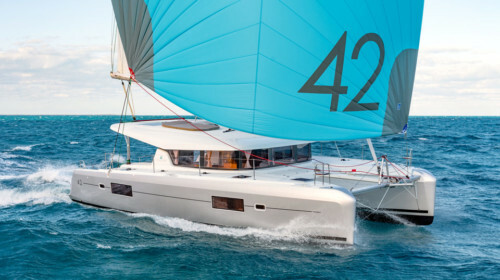 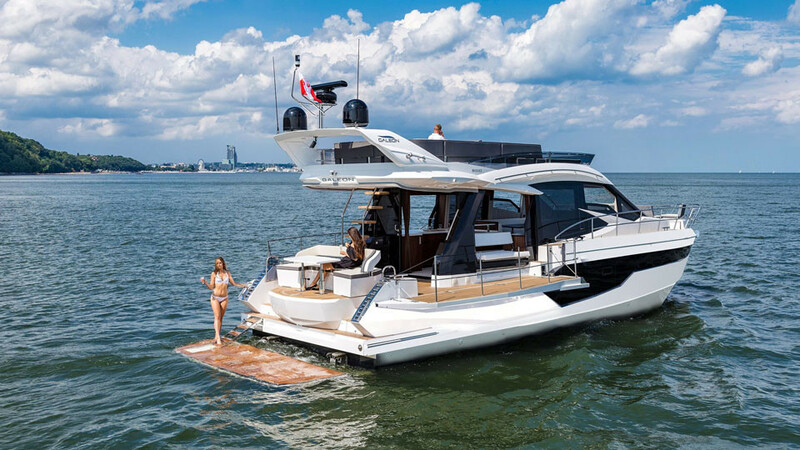 The Galeon 460 is available for private yacht charters in Phuket. 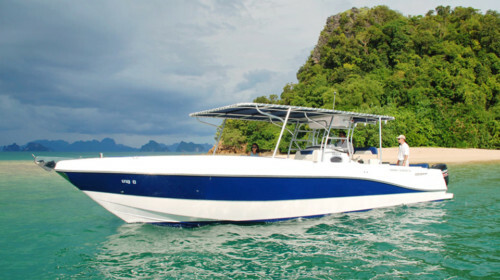 Motor Yacht Charter Phuket with Boat in the Bay. 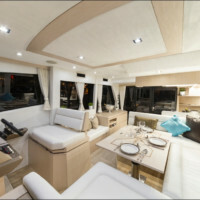 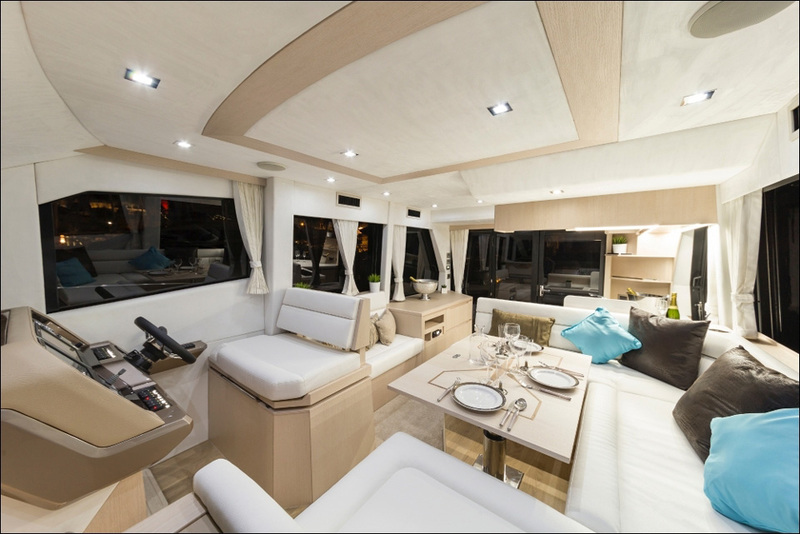 You will like this motor yacht for her convertible design, luxury, and comfort. 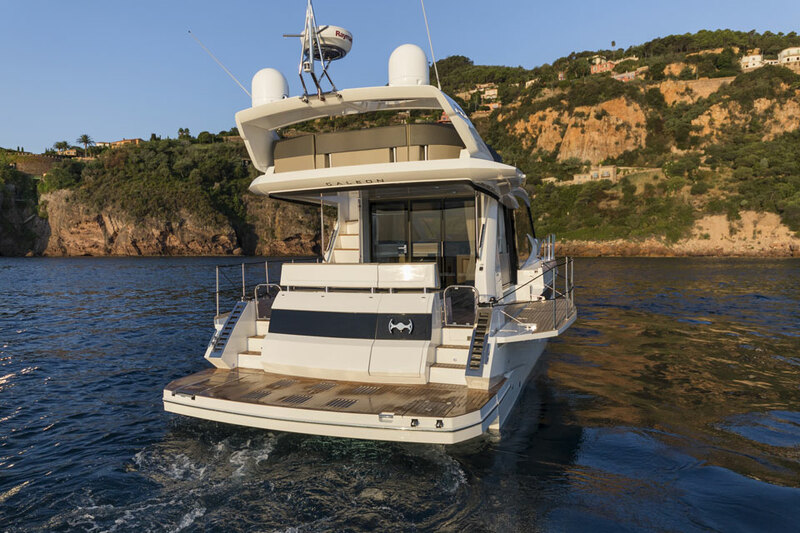 This spectacular brand new motor yacht is packed with innovative features. 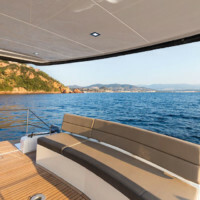 From her automatic bow settee area that can be swiftly changed into a sundeck, her aft cockpit rotating seat, and everyone’s favourite feature – the beach mode, with drop-down bulwarks like wings creating a huge extended cockpit space. 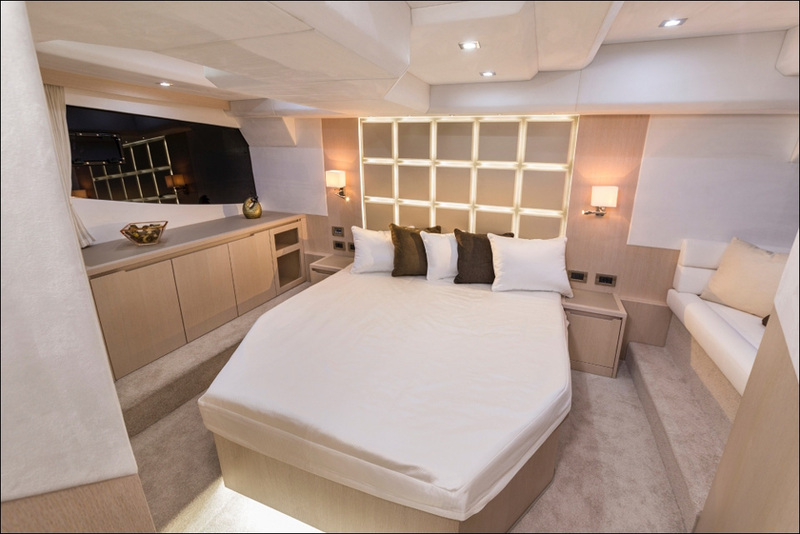 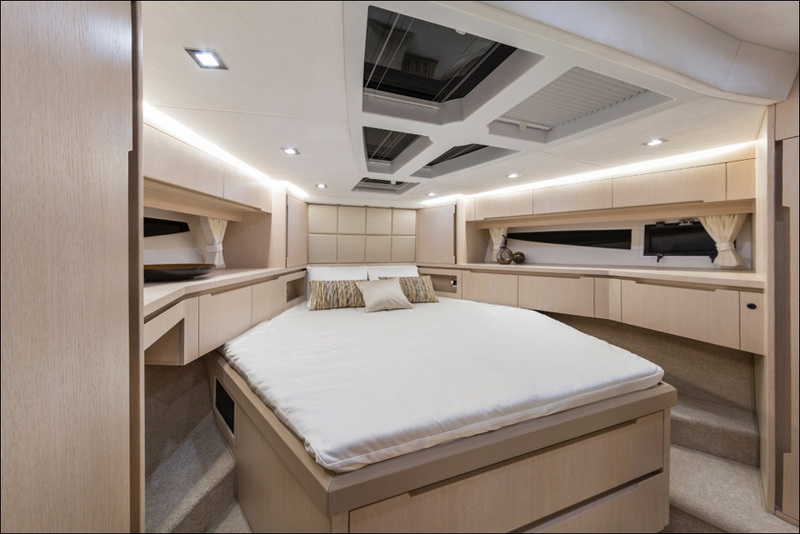 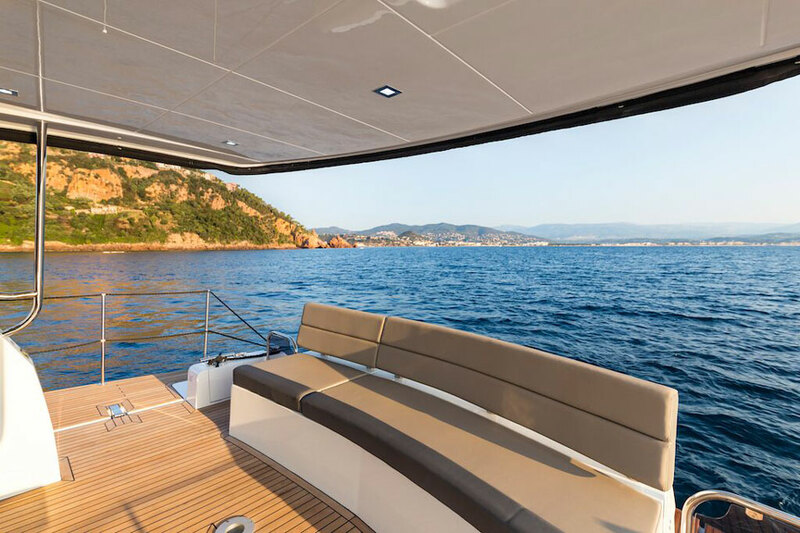 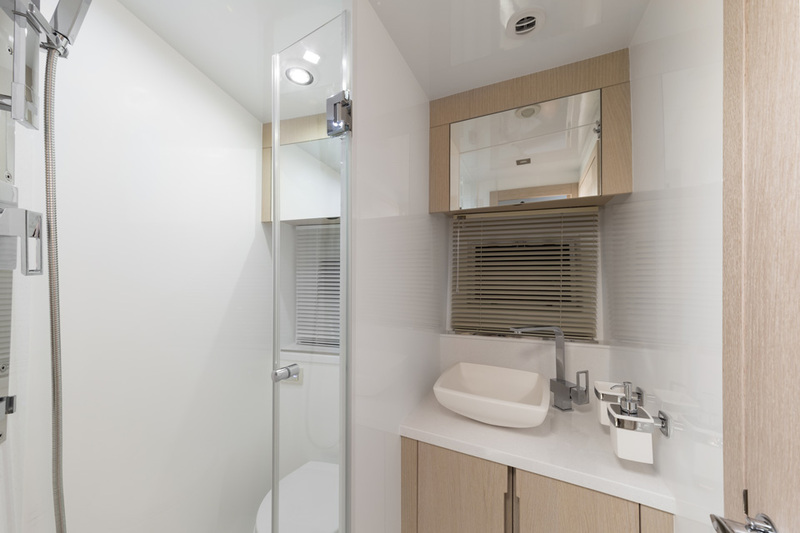 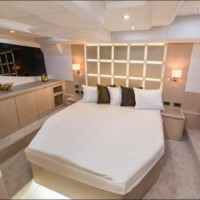 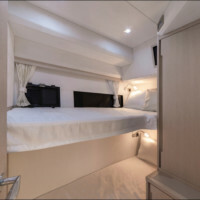 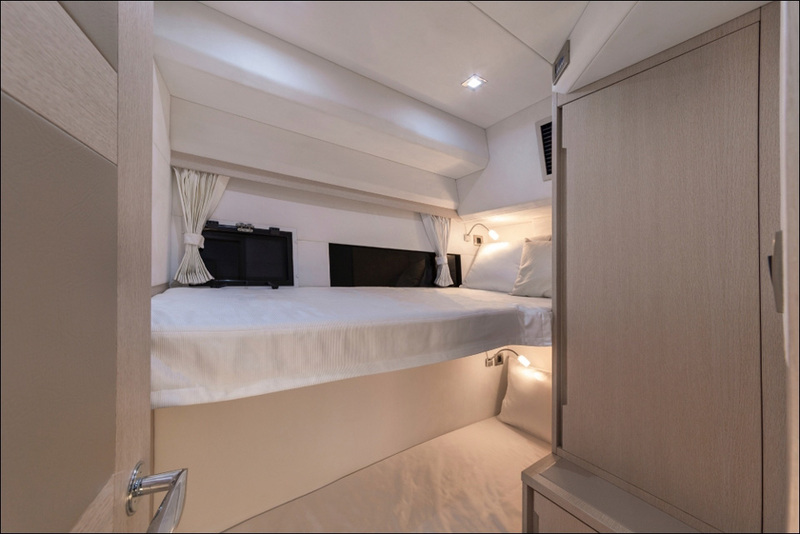 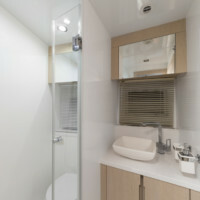 The whole interior space of this luxury yacht is fully air-conditioned. 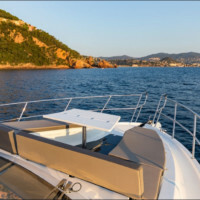 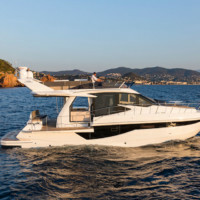 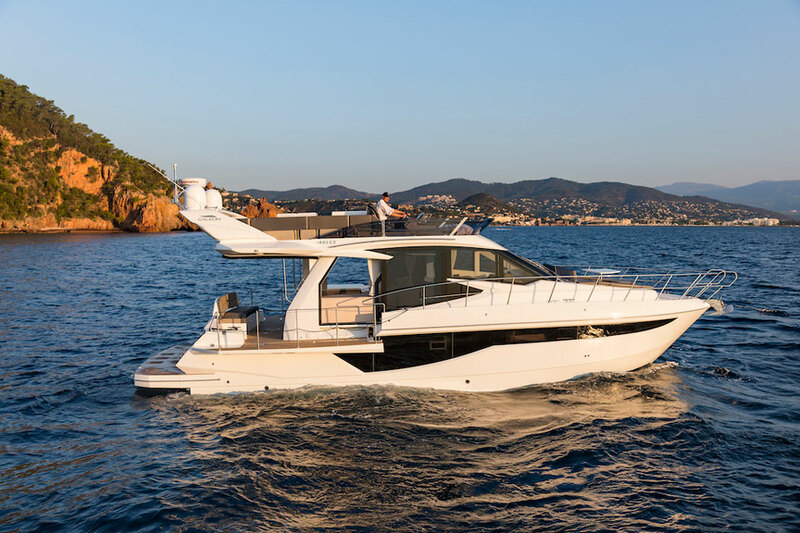 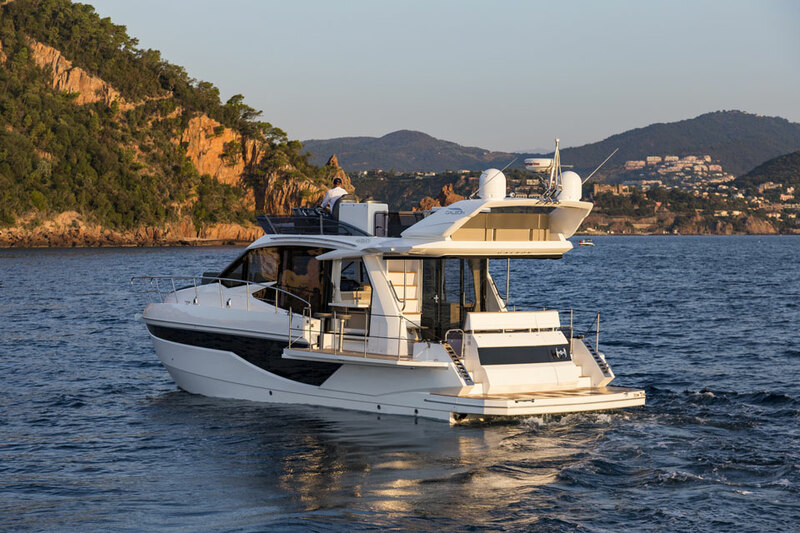 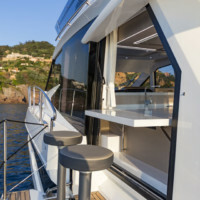 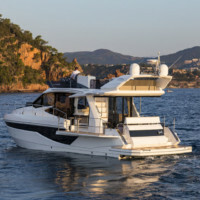 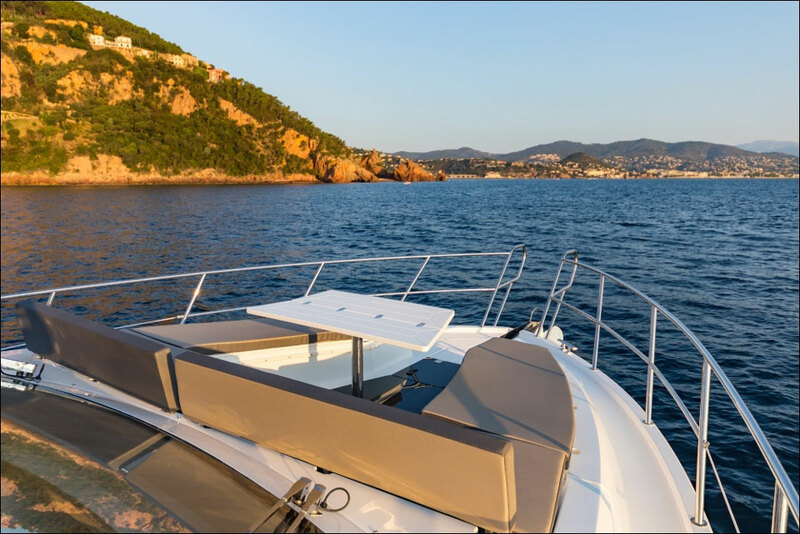 Galeon 460 offers comfortable cruising for up to 14 guests on a day trip and has all the amenities to accommodate 6 guests in 2 double cabins with en-suite facilities and a further twin cabin. 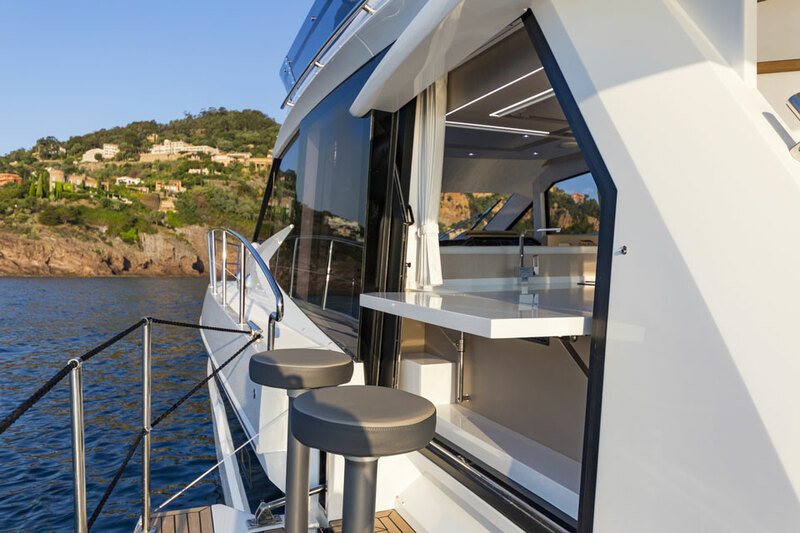 ￼￼￼￼As well as the surprisingly spacious flybridge, the guests can also be entertained on the main deck that features a dining area and a full sized kitchen. 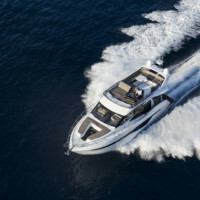 See more about Galeon Yachts at their website. 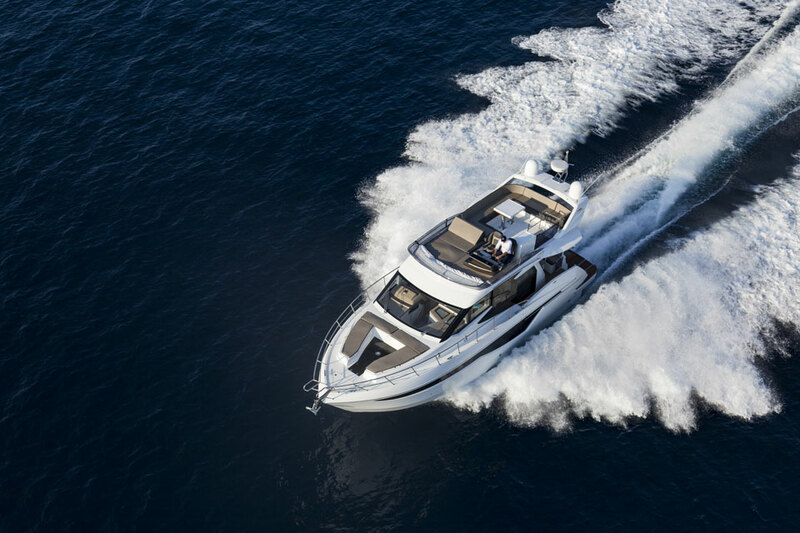 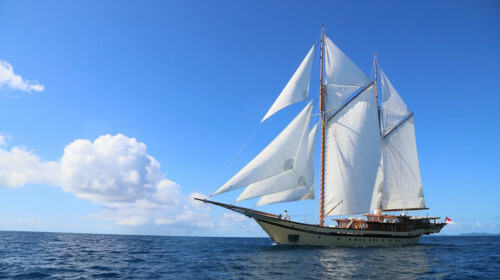 Contact Boat in the Bay today for charter inquiries on the Galeon 460 and other motor yachts in Phuket.